Since 1970 Albon Engineering & Manufacturing PLC has been a design and manufacturing company, that has a long-standing history with machining for the automotive, marine, construction and many other engineering sectors. 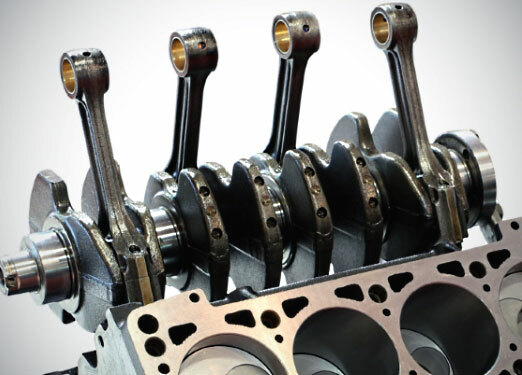 Albon has manufactured many different products such as Connecting Rods, Bearing Caps, Cylinder Heads, Engine Cylinder Blocks, Flywheels and many other performance critical parts. The company has come a long way since its humble beginnings back in 1970 when Larry Albon O.B.E. used his initiative and machining abilities to set up what is now known as Albon Engineering & Manufacturing PLC. Albon is an award-winning, family-owned company specialising in machining for a wide spectrum of different industries. Our history started within the automotive industry and the company has grown into a multi-industry company. The company Albon and its staff have benefited from dealing in different global sectors. For nearly 50 years Albon has been a trusted tier 1 supplier for a multitude of different industries within the transportation sector and some other sectors. Albon develops performance critical parts that meet specific customer requirements. Many of our innovative solutions have been developed in cooperation with clients during ongoing projects. The breadth and scope of production available at the plants are such that almost any form of petrol or diesel engine component can be produced by Albon, ranging from prototypes to high volume production. Our current activities consist of high volume connecting rod manufacture and bearing cap assemblies which are produced from our UK and Serbian manufacturing plants. Albon Engineering and Manufacturing Plc. are a large independent manufacturing and design company specialising in the machining and assembly of engine components for automotive and diesel manufacturers worldwide. We now employ over 400 people who contribute wholly to meeting our current turnover of £40,000,000 per annum, spread across four sites covering a total of 695,000 square feet. Albon's successful growth is greatly attributed to innovative in-house design and manufacture of special purpose machines without the usual excessive investment in proprietary based machines. This together with the exceptional skills needed to maintain absolute accuracy and zero defects, means major automotive manufacturers can confidently utilise Albon's expertise in the production processes. Our capabilities to machine high-quality products is reflected in our prototype philosophy, we produce high-quality prototypes due to our “Make Like Production” philosophy. This puts Albon in a great position to be awarded production business. Our prototype philosophy is brilliant for our customers as they’ll see what product they will receive in production at the prototype stage. This philosophy enables Albon and their customers to start a successful relationship from the beginning. Albon strives for long-term and trustful business relationships, allowing us to tailor unique solutions to our customer’s needs. Doing business in the right way is something we always pride ourselves on. Our engineering capabilities make our machining knowledge transferable to all other engineering sectors. It’s the machining techniques and knowledge that makes Albon engineering capable. Other engineering sectors is an ongoing area of research and development within Albon. If you are visiting our website from one of these avenues feel free to Contact Us, to discuss your sector and Albon’s potential involvement. Find out about Albon's core values and how these help in most areas of the company.